I suppose it was bound to happen someday. Our Christmas card list continues to grow year over year, in part because we’ve moved so much but also because now we have kids and I feel the need to show the little cuckoos off. Either way, we are grateful to also receive a number of cards in return. From old friends, new friends, home friends, college friends, kids’ school friends, work friends, old bosses, current bosses, etc. But today, for the first time, it happened. We received a lovely card in the mail. 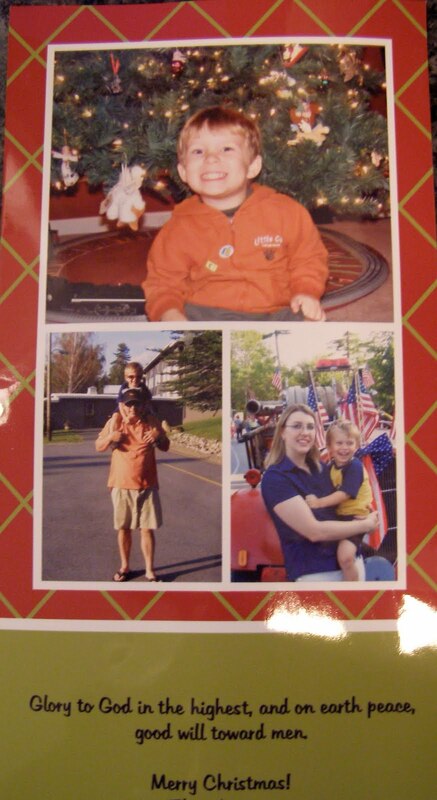 Glossy photos, smiling faces, adorable little boy in front of his Christmas tree. And, I have absolutely no idea who these people are. No clue whatsoever. And, maybe the the worst part of it all is that I feel terribly because I will not be able to send them a card in return. Whoever they are cared enough to write all of our names on the front, track down our brand new address and buy a stamp. Who are you, sweet Warner family? Accept my apologies.